Mint new arrival. 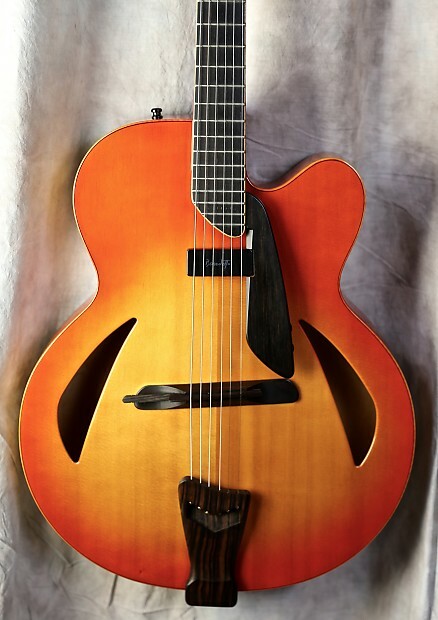 An early 2000's D'Aquisto Centura built by Aria in China. This beauty is pristine. 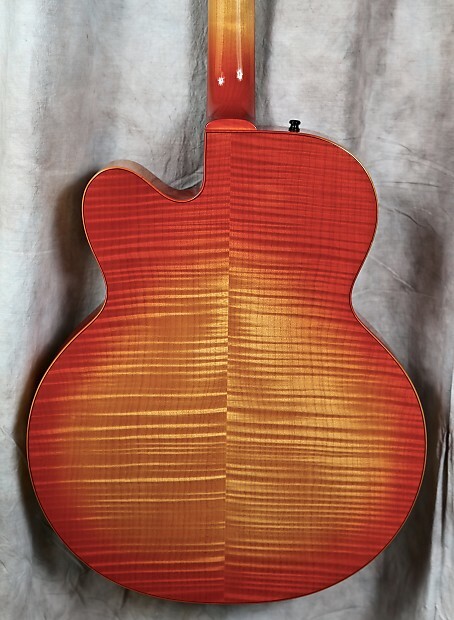 This guitar has a solid Spruce top, and laminated flame Maple back and sides. Adjustable Rosewood bridge, Ebony tuning buttons, fretboard, pickguard, headstock veneer, and tail piece. Floating pickup. Gold hardware. A great guitar. Worth every penny. Comes with original hard case. Most items come with a 3 day approval period, (with the exception of amplifiers, speaker cabinets, used, and vintage gear of any kind). Amplifier, speaker cabinets, and vintage gear sales are final. Power attenuators are also NOT returnable. No exceptions. We must be notified of intent to return item within 72 hours of signing for shipment. Item must then be returned within 48 hours of contacting us. Returns are easy – just contact us to get the return started. Item or items must be shipped back fully insured. If not, buyer assumes all liability for loss or damage. Once the item arrives back to us in its original condition, we will issue a full credit for the item, less shipping and insurance charges both ways. We assume no responsibility for items returned without full insurance. A return does void any free shipping offers and the customer is liable for shipping and insurance charges both ways.